iPad is not only designed for humans. 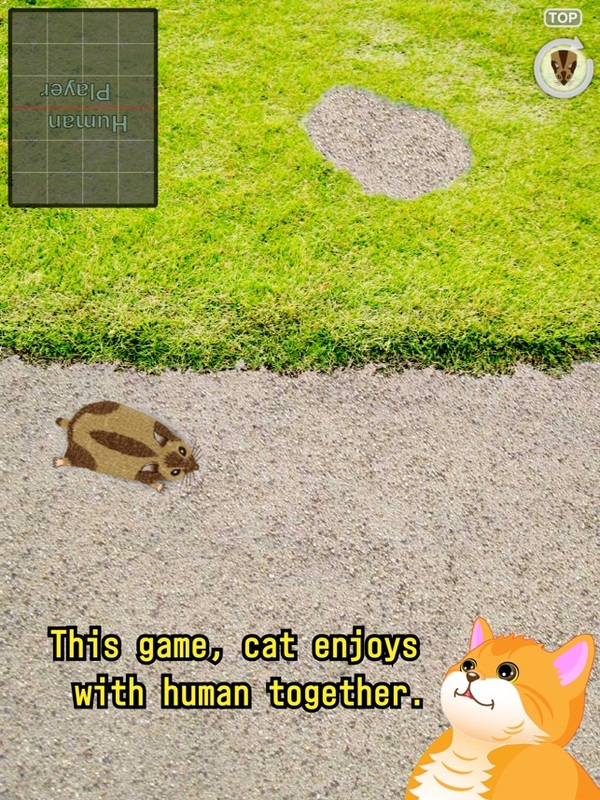 Now for the first time, you can play games with your lovely cats. 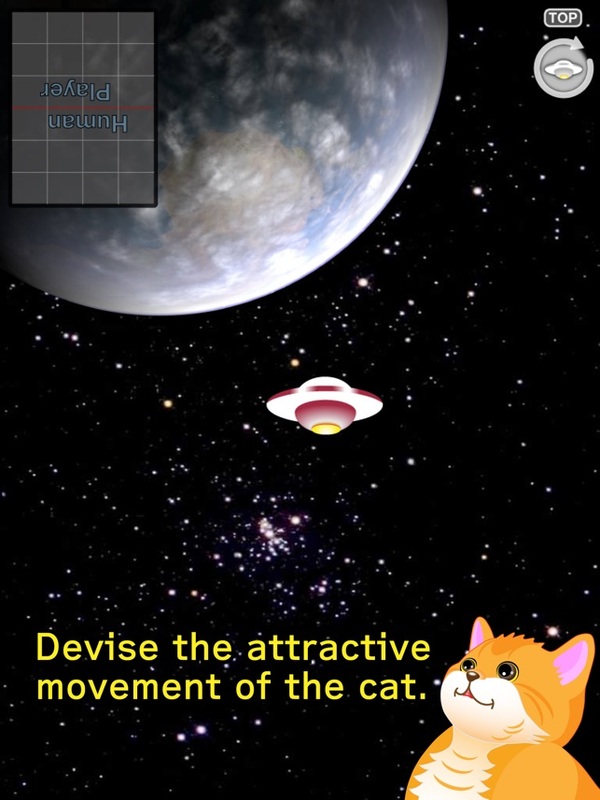 While there are other apps with characters that move around automatically, this app is special because it allows people who are interested in cats to play with them. 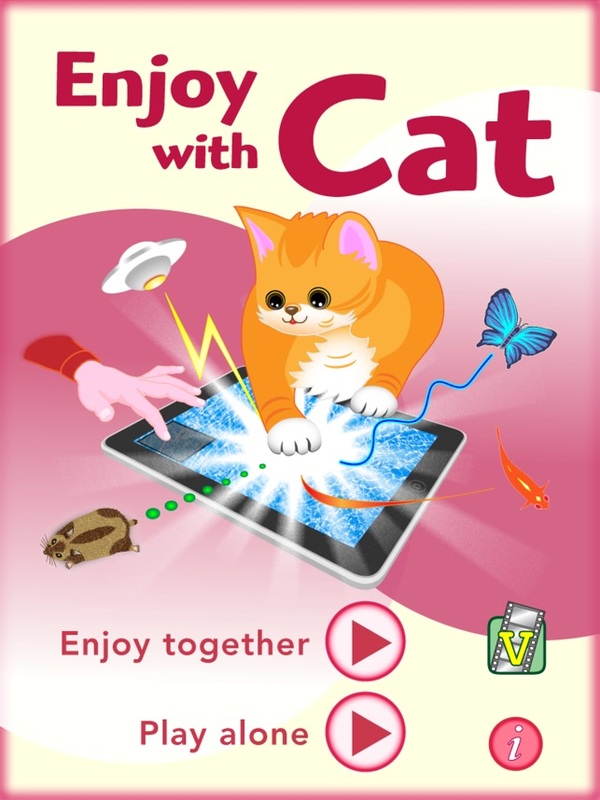 Rat, Butterfly or other characters move all over the iPad screen with attractive sounds for your cat. 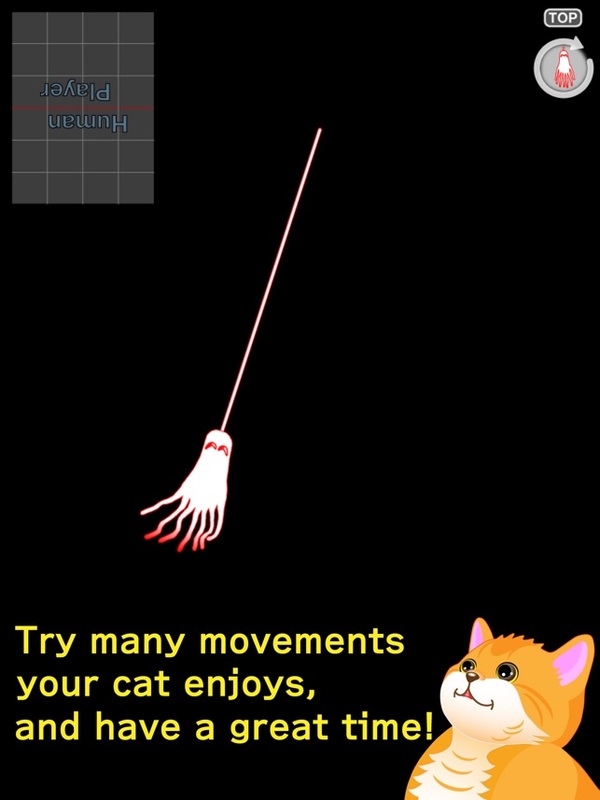 Try many movements your cat enjoys, and have a great time! Of course, there is also an automatic mode. 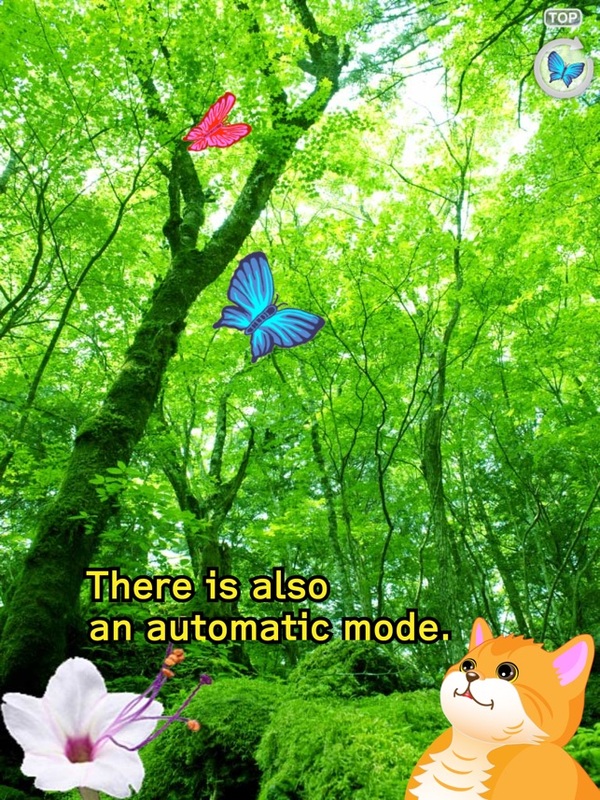 In this mode, you move the characters and play together with the cats. Try tapping and dragging on the gray box("Human Player") area of the screen. The characters will follow your motions and move all over the screen. This is the automatic playing mode. Characters will move around as they like on their own.